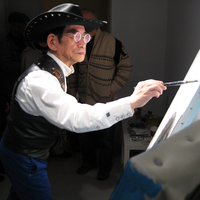 Baron Yoshimoto and Katusya Terada are unusual artists who continue to produce unique works, exploring their personal approach to the creative process, encompassing wide range of art practice. Is it manga? Is it illustration? Is it art? 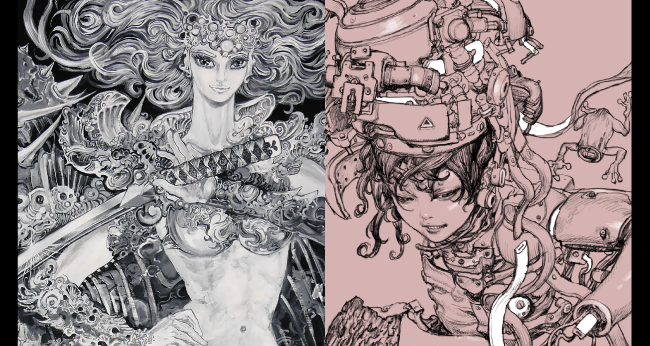 Their works cannot be defined by any particular genre. An exhibition of two outsiders, who continue to work across different artistic disciplines, will be realized at atsukobarouh. 'Bateira' takes part of the names of each of the artists. The word, will no doubt remind you of 'battera' sushi, made with pickled mackerel. In fact, the word 'battera' derives from 'bateira', a Portuguese word for a small boat. 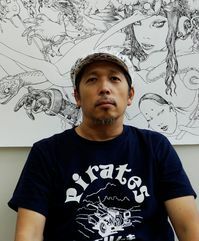 Two artists, Baron Yoshimoto and Katsuya Terada, each on their own paths, come together on a small boat called atsukobarouh. What influences will they have on each other's practice? What will result from their coming together? The process will, at times, lead to unexpected results, shedding light on an as yet unexperienced future where the small boat is heading.